The Naturalist in a Box is an experiential, hands-on environmental education material for children ages 5 through 9. The material is designed to be used independently by 5he child as he/she explores and learns about the Giraffe. 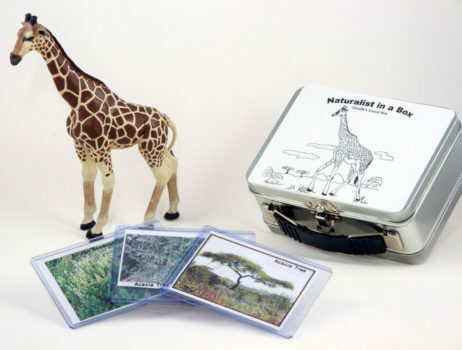 The Naturalist in a Box Giraffe contains a Schleich figurine of the Giraffe, its lunch box with a description of the Giraffe, its habitat and zoological information for the student and teacher on the inside cover for reference, Laminated pictures that represent what a Giraffe may eat. You receive a Montessori lesson plan for the teacher/parent detailing how to use the material and the extensions possible, and a reproducible coloring page for the child to use. The Naturalist in a Box is an experiential, hands-on environmental education material for children ages 5 through 9. The material is designed to be used independently by 5he child as he/she explores and learns about the Giraffe. 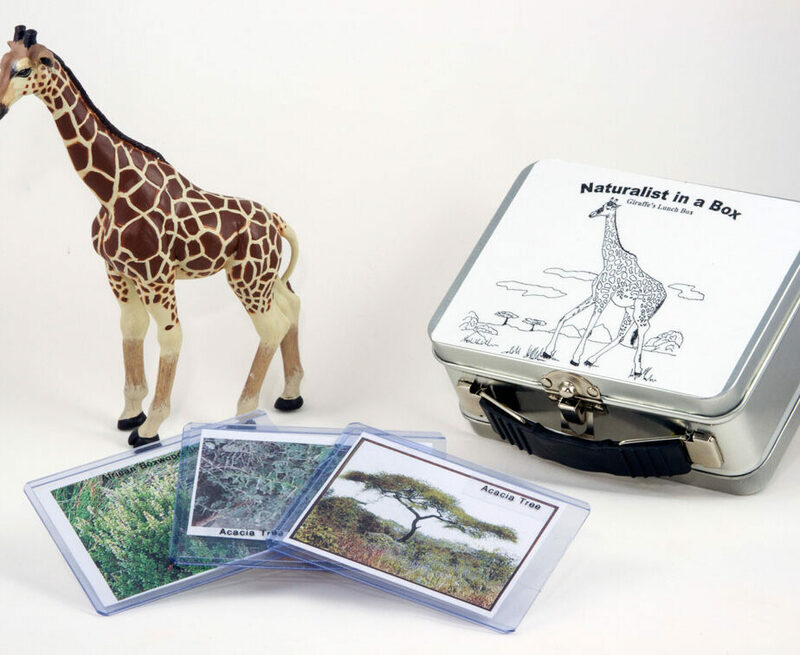 The Naturalist in a Box Giraffe contains a Schleich figurine of the Giraffe, its lunch box with a description of the Giraffe, its habitat and zoological information for the student and teacher on the inside cover for reference, Laminated pictures that represent what a Giraffe may eat. You receive a Montessori lesson plan for the teacher/parent detailing how to use the material and the extensions possible, and a reproducible coloring page for the child to use. This material is excellent to use for a continent study of Africa.